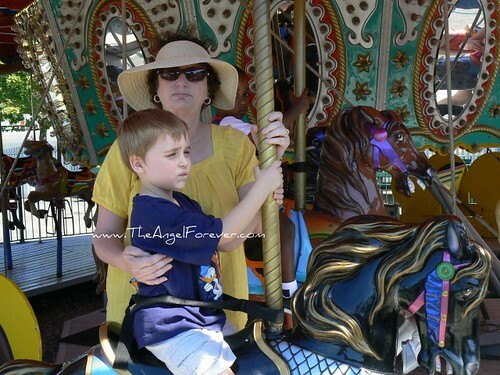 Each year we take photos on the Merry-go-round as a tradition with the boys. We started this when NHL was little. On Labor Day we went back to the local park with my parents, Aunt L and Uncle J (in town visiting) for some fun in the sun. We had a wonderful time. 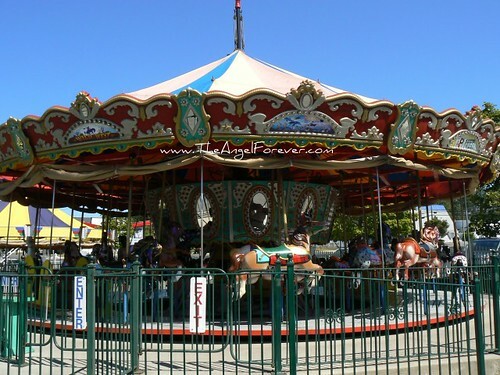 Since we arrived at the park before it opened JL was able to get some gorgeous photos before the crowds arrived. 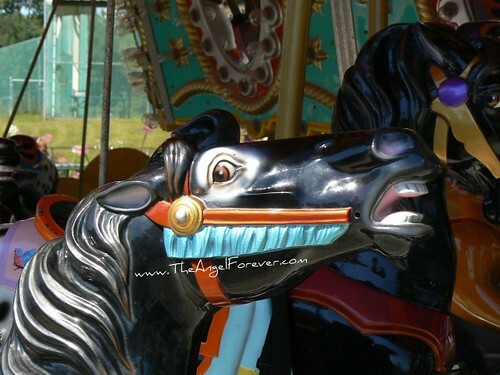 I love how the park takes amazing care of their ride. Here are some of the horses up close. 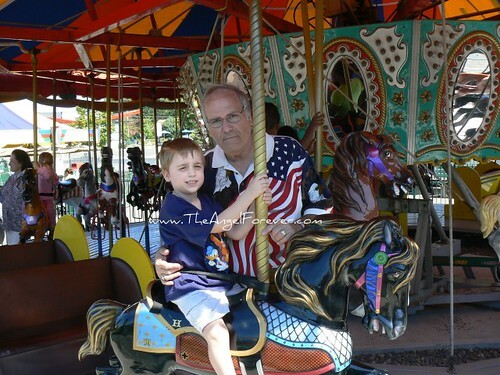 Once the park was opened, it was time for the boys to ride. NHL went with Aunt L for a spin and JSL with Papa (starting the tradition). Of course we HAD to get a photo of Papa with NHL since we were not thrilled with the ones from May of this year. In order to keep the tradition going Aunt L switched with Papa for a few seconds. *** Please note, no flags were injured in the making of my father’s shirt! There are many more photos from the day, but I figured I would split it up some. 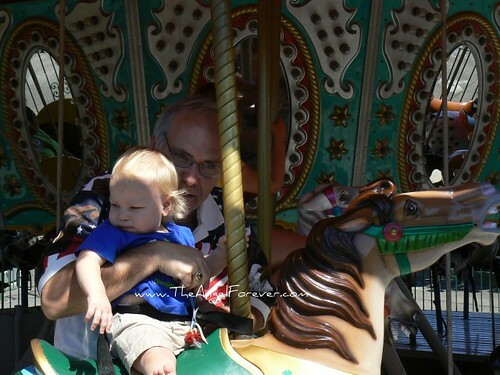 We hope to go back to the park one more time before they close for the season, but if not we have fabulous memories from our trips this year. You may want to experiment with watermarks for your photos. The website was very distracting. 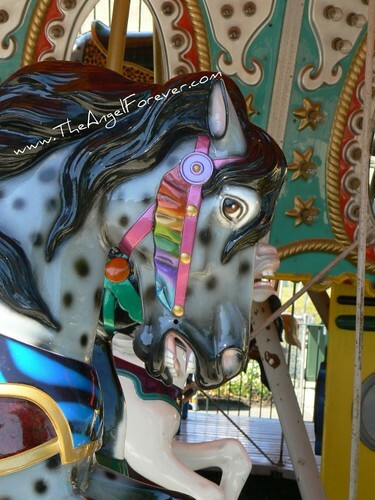 I love carousels, they’re so beautiful! 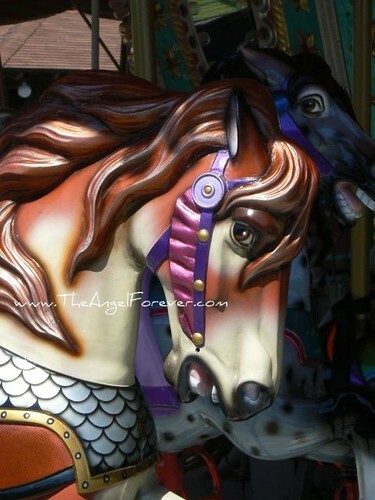 I can never decide which horse or creature I want to ride on. Thanks for the compliments on the photos. Unfortunately the problem with watermarks is that they may cause some distractions. More and more people recommend that you put them on photos within blogs because of people snatching photos. A lot of people will put the watermark on top of faces, but I did not want to do that. I selected spots that were within the photos, but off a little. Since the purpose of the watermark is to be within the photo enough so it can not be cropped I feel I did that. I will be honest that I may not bother with this again – just playing for now. Ideally I would love a stamp like watermark, but do not have time to experiment with that at this point. 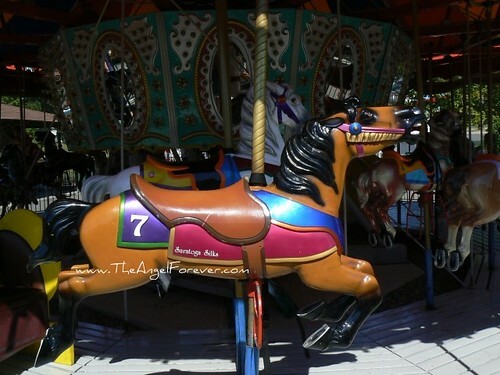 Is this turning into a carousel blog or what? ;) Those are great photos, and a beautiful tradition. I love these kinds of traditions. Great photos.